It is everything it should be, very near an instant classic album, so rich in translating classic Etnica tunes into a brand-new style, a testament to the talent this duo possesses in crafting excellent psychedelic music. Utilizing select live musicians and vocalists to flesh out the sounds, Etnica picks some obvious choices to re-work but also offer up some curve-ball selections, taking some of their faster, pure goa creations and paring them down into a much more controlled dub structure. It is not surprising to find "Deep East" or "Trip Tonite," from 1996's "Alien Protein" album, reinterpreted here. Both are excellent, atmospheric down tempo tracks to begin with and these newer dub versions are just as pleasing to the ears. A surprise inclusion from that album, however, comes with "Screaming Butterfly," and it is delivered beautifully. Any of these three deserve to be the main highlight on a lesser album but here they are par for a very rich course. The sweeping magic of "Back To Vega," the gorgeous juxtaposition between beauty and the beats on the dub'n'bass "Burning Sands" and the indescribably beautiful work on original track "Desert Journey" offer many treasures over the course of their run time. The highlight, though, would be the frisky "In Dub" version of "Vimana." It is only natural to wonder how Etnica's offering stacks up against that other "In Dub" classic. As when Ott encapsulates everything fantastic about "LSD," the classic sound, the captivating samples, and turns it into something new and outstanding and unforgettable on "Hallucinogen In Dub," here, "Vimana" is just as good, note-for-note. On "Vimana," the old-school vibe is ever-present, the awesome sample theorizing about alien influence on human history is just as good as that classic Hallucinogen/Ott moment describing how LSD puts "us just a little out of their control" and the dub is just so bloody good. In the here-and-now, this is an outstanding album, extremely well made and so pleasing to listen to. 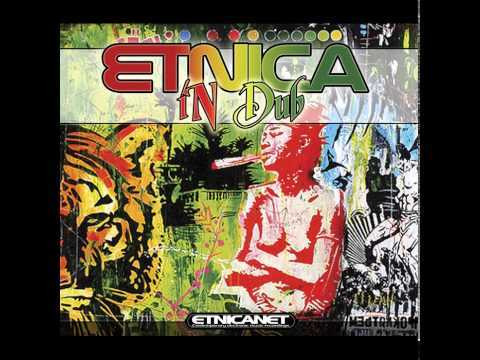 Also, "Etnica In Dub" has the potential to be something very special years from now. Only time will tell if it turns out to be a classic album but I do like its chances. The rest is not very interesting, not bad either. The tracks don't go far enough, sounds quite simple with not much inspiration IMO. It's decent: 5.5/10 is my rating of this release. If you go in expecting something very expansive in the vein of goa I can see how your expectations were not met. I guess even if you are expecting something as broad as Ott, Androcell or Slackbaba the same would hold true. As mentioned though "Vimana" is just stellar, blows my mind each time I hear it, as psychedelic and broad as any other dub out there. For the most part, the music is simple in that it is dub and that style does not often lend itself to a wide array of unpredictability. Still, it is very fine music, very relaxing but still very artistic. Good for these guys for trying something outside of their forte, I feel they succeeded. The only tracks I did not like were "That Kind Of Love" (ugh, don't like the vocals). I like this version of "Astral Way" and "Screaming Butterfly" a lot but they are very, very short, and lend themselves to not going "far enough". That still leaves 7 great tracks in all. I can't comprehend a 5.5 rating by any stretch of the imagination. heyyy this one surprised me a lot more than the Astral Projection remixes album. Some VERY interesting tracks here, ranging from "plain vanilla" dub like Vimana (what the hell does it have in common with the original except the sample I don't know...) to uptempo chill-out with just some hints of dub like Desert Journey, it definately has all the variation to get you through many listens without getting bored. Not all tracks are remixes BTW, at least as far as I know some of the material here is original. Deep East and Trip Tonite are a bit of a scam though IMO, since the originals were downtempo to begin with, they basically just put them on top of a dub bassline, nice but nothing to get really crazy about. Back to Vega is a bit too generic IMO, it sounds like music from a car commercial or something, I usually skip this one. Gilly's Voyage in Dub brings us to a darker side, it takes the overall progression of the original but with a lot of dub influences, a really nice mix IMO. When drum 'n' bass is done properly it can be fantastic. "Burning Sands" is very, very, very good, I can understand why you keep hitting repeat. Good review, mate! If you want a post deleted then you can ask a moderator to do it for you, or report your own post and ask for it to be deleted in the report form. Unfortunately I fail to hear any magic in this Vimana Dub version, I really wish I could feel the same way you do Bill but I don't, it sounds unfinished, empty... sometimes emptiness can be a strenght, sometimes a weakness and here I am afraid it is a weakness. The tracks I still enjoy so far are Trip tonite, Back to Vega, and Screaming butterfly. It's still decent overall but to me there are too many fillers in this album (Astral way, Desert journey, Gillys voyage) time will tell but I am not sure at all this album will be remembered long. Anyway who cares taste is personal! I've mixed feelings about this one! As I'm a huge Etnica fanboy, couldn't resist. No track list? They're helpful whoever starts the thread. I'm not a fan of Vimana In Dub. It sounds like your average reggae (conceptually speaking) influenced dub track. This music approach (let's chill and smoke man) sounds too familiar to me, but to each their own. Deep East (66 Dub&Rola Remix) is catchier with its signature sound and accents (!). It grows to be fairly repetitive by the end though and doesn't offer a whole lot from the original to distinguish it as a remix. Triptonite Dub becomes more interesting in the second half, thanks to some nice development. Not a whole lot outside of the dub approach distinguishes it from the original. The song's pretty good though. That Kind Of Love is a downtempo piece with lyrical female singing. I enjoy the song more just past the 5 minute mark where the voice exits, leaving me to enjoy the music's nuances, chilled tone, and development. Not bad. Not great. The female singing approach is a little bland and forgettable IMO. Back to Vega is where the album really picks up for me. This song is so catchy, and has just the right mixture of electronic meets worldly influence, complimented by the female voice. I like how it develops, the chimes, thumbing mid-tempo beat, atmosphere, accents, etc. The first act arrangement is a little repetitive, but a shift in sound around 3:50 forward is catchy. I like the sustained notes in the last act too. Burning Sands seems to one of the songs that everyone likes. It's okay. I'm not that impressed. I hear nice female hymns around a mid-tempo beat. Some flute. The similar sound throughout adds to the repetition for me, but the music's nice sounding. Gilly's Voyage (Dub Mix) is very dub and not very interesting IMO. This is the closest sound approach I feel to the opening rack. It's slow and kind of goes through the motions. I find the DUB approach (structure, development) to be a bit lazy, boring, and bland. Screaming Butterfly (Dub Mix) has a very nice tribal drum, beat, and melody (s). Here's a mix that sounds vastly different from the original. More work appears to have been invested to vary and distinguish this thing from the original. It's relaxing, catchy, and enjoyable. Desert Journey is gentle, atmospheric, a bit moody, Psy-influenced, and has some subtle sound/accent work to boot. Not much in terms of changing scenery happens. The song could have been more eventful, but the general sound throughout is good. I like it, especially a repeating "accent" ask sound that takes place throughout. I thought the whole album was going to be dub or drum n' base-y. I honestly didn't know of this album's existence until it started automatically playing after I streamed Etnica's Alien Protein album on YouTUbe. This album transcends (isn't limited to) Dub thanks to being more evolved, risk-taking-- with a kicking beat while also being quite relaxing and reflective at times. While not perfect, the album has a groovy, sped-up chill-esque elements musical approach that resonates with me. There are some VERY catchy "accenting"sounds on this album. The little bouncy (low pitched) synth in Burning Sands (if I'm recalling the right track). This is one of Etnica's most engaging releases in a long time, but it's not always consistent with great tracks or doing greater justice to a few of their Dub Mixes. Even the weaker (less strong) tracks IMO often have something-- a strong complimentary sound or musical element that makes them stand out, giving them character and presence. 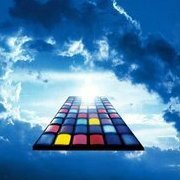 At times the Etnica in Dub reaches beautiful heights of electronic music compositions. How did I miss this album these past years,? Only to discover it in 2019 by mere fate. Some of the songs are soooo good!!! The album's moody at times which I love. I could honestly go with less DUB and more of everything else. But a few Dub Mixes don't sound too dubby for me. Actually, some of the tracks don't sound to be dub at all (thankfully). So why even call the album Etnica In Dub? That doesn't do it justice. The album's more visionary for that; it's more down, mid, and even up-tempo with many good electronic influences. In short, I like this album. Just about every track has its own interesting variations, atmospheres, compositions, etc. Some of the tracks someone found to be filler I didn't find filler at all, so see where your preferences match.